Dr. Koufman’s Acid Reflux Diet is the latest book from Jamie Koufman, M.D., author of the New York Times bestselling Dropping Acid: The Reflux Diet Cookbook & Cure. 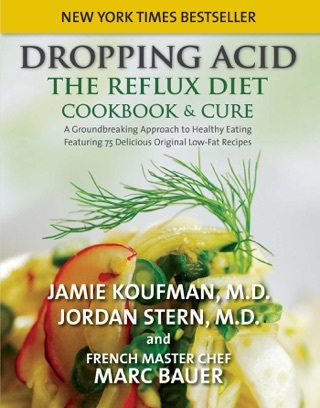 Dr. Koufman’s Acid Reflux Diet is the latest book from New York Times bestselling author, Dr. Jamie Koufman, M.D. It is a companion book to Dropping Acid: The Reflux Diet Cookbook & Cure, which first introduced attainable strategies for restoring respiratory and digestive health through a scientifically-based nutritional program. Dr. Koufman’s Acid Reflux Diet extends those lessons for a lifetime emphasizing lean, clean, green, and alkaline eating. 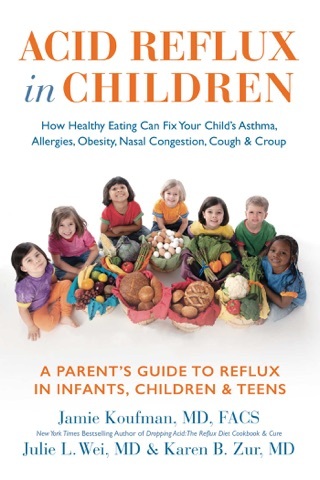 The book also highlights how to recognize your reflux trigger foods, how to get off reflux medication, and how to lose weight the right way—and keep it off. 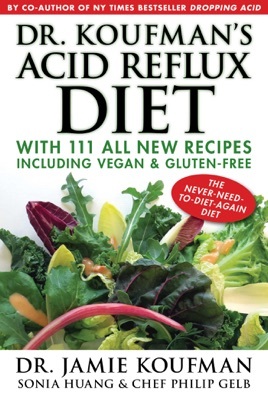 Dr. Koufman’s Acid Reflux Diet includes 111 amazingly delicious and original vegetarian and gluten-free recipes. Maybe I didn't read carefully enough the description that this book is the maintenance diet, not for the acute phase. Some of the recipes included tofu, seaweed mushroom stock, wakame, and other Asian type ingredients. A large number were Asian recipes. Sadly, not many of the recipes appealed to me. I prefer more simple recipes with ingredients that are readily available and easily identifiable. Maybe if I had a chef, then I would try and eat them, but to make them myself is not appealing. If I had purchased the paper book and not the ebook, I would have returned it.